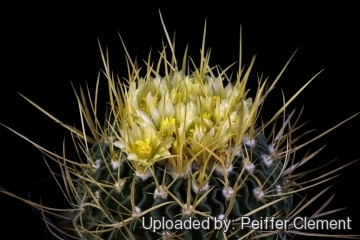 Cacti (Borg) 1952, 101. (see also: J.Meyrán Cact. Suc. Mex. 22(2): 36, 1977). Stem: Light green, 7-10 cm in diameter, depressed at the apex. Ribs: Numerous, 26-40, thin, undulating with only few areoles. 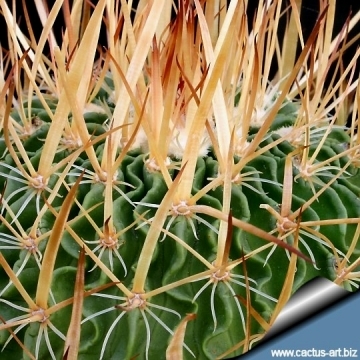 Central spines: 1, erect, up to 5 cm long. 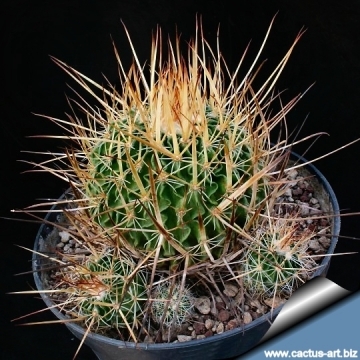 Radial spines: 7-8, white or yellowish with brownish tip, becoming grayish white, awl shaped, to 2.5 cm long. Flowers: Small , funnelform, typically sulfur yellow but also pinkish-white with darker midribs, to 2.5 cm long and 3.8 cm in diameter; floral tubes long. Blooming season: Spring to late summer and last 3-4 days. Remarks: The plants found in in cultivation are quite variable for spine size, ribs number and colour of the flowers. 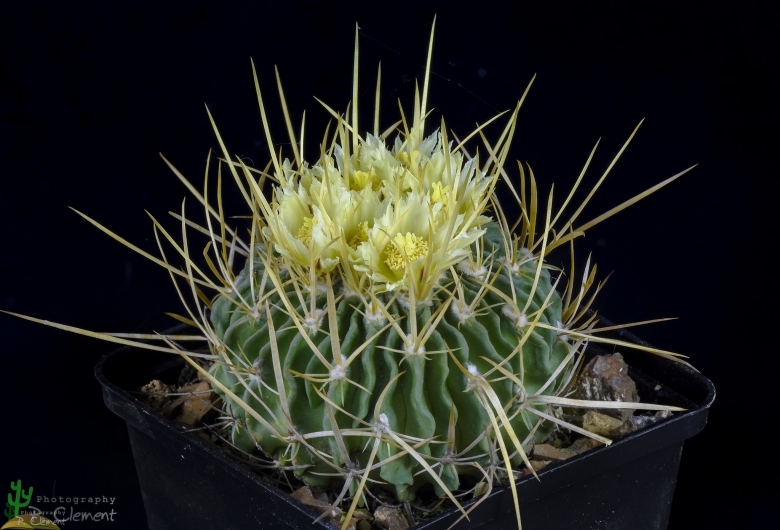 Salm-Dyck say that it is closely related to Stenocactus anfractuosus. Cultivation and Propagation: Easy to to care and flower. It needs regular cacti soil with good drainage.